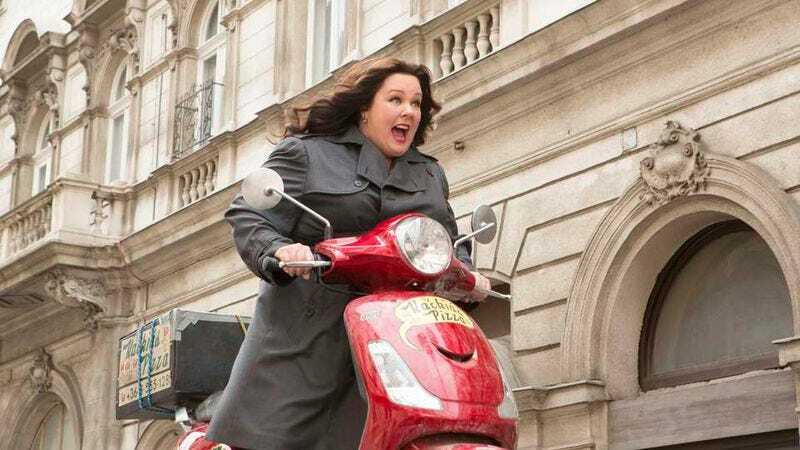 Being friends with Melissa McCarthy and her husband Ben Falcone has its upsides. The pair, who co-wrote the upcoming Kristen-filled Michelle Darnell, have closed a deal with TV Land for a pilot script they are executive producing, with the working title of Friends With Melissa. The script was written by Hugh Davidson, Larry Dorf and Rachel Ramras and is centered on their own experiences of coming up in the Groundlings, the Los Angeles-based improvisation troupe and school of which McCarthy and Falcone were also a part. Of course, McCarthy, Falcone, and some other Groundlings alumni went on to star in blockbuster comedies and win major awards. Meanwhile, Davidson, Dorf, and Ramras toiled away writing children’s shows as they watched their friends become famous superstars. McCarthy is set to appear in the pilot, and Davidson, Dorf, and Ramras will also executive produce.